The Auschwitz museum said Wednesday it had asked the makers of the popular Pokemon Go augmented reality game to block players at the former Nazi death camp out of respect for the dead. The mobile game, which involves collecting 250 cartoon "pocket monsters" by physically moving around in real life, has turned into a global sensation since appearing on July 5. 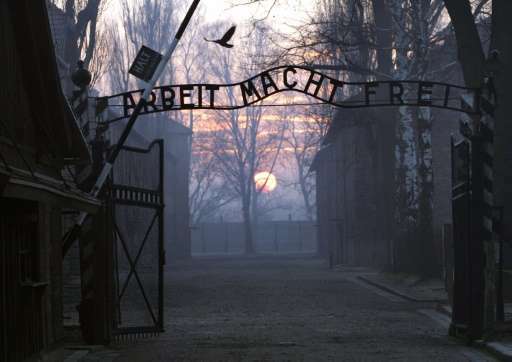 The museum in southern Poland said it had asked the studio Niantic Labs, which developed the game, to remove Auschwitz from the application's possible locations. "We find this kind of activity inappropriate. It's here that hundreds of thousands of people suffered: Jews, Poles, Roma, Russians and individuals from other nations," museum spokesman Pawel Sawicki told AFP. "Generally speaking, we want to raise awareness among game developers regarding respect for the memory of the victims of this largest Nazi death camp from World War II." A record 1.72 million people visited the site in the southern city of Oswiecim in 2015, the 70th anniversary of the liberation of the camp by the Soviets. The wild success of the online game—owned by Nintendo subsidiary the Pokemon Company and developed by studio Niantic Labs—had already seen the Japanese game-maker's stock price rocket by 59 percent in four days by Tuesday. Many businesses have welcomed the craze, offering discounts or deals to visiting Pokemon Go players. Not so for Washington's Holocaust Museum, which has also asked people to be respectful and refrain from gameplay there.